Startups and Startife at the World Wide Wageningen Alumni Day, lots of fun! More than 1500 alumni enjoyed the great demo’s and tastes of Startups Saturday 23rd of June on Wageningen Campus. With the theme Sustainable Food & Nutrition, startups showed themselves to the audience. 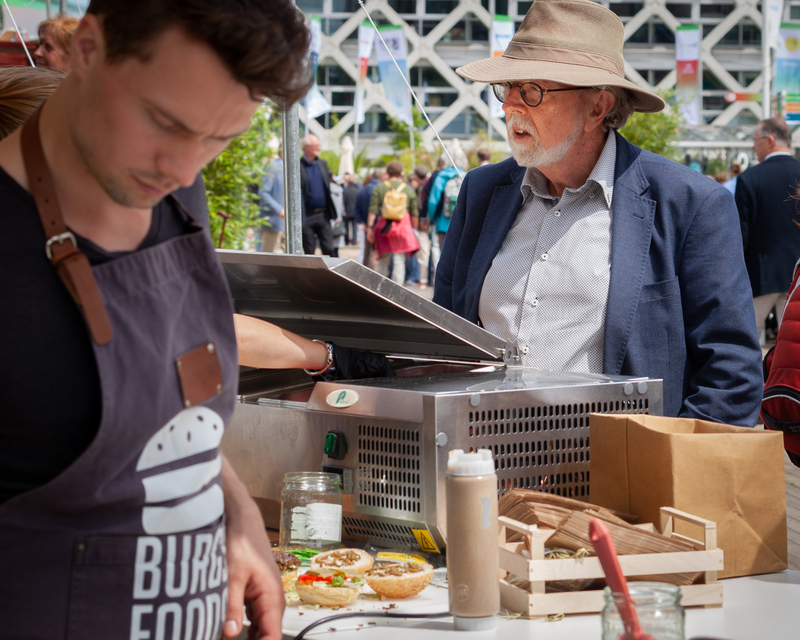 Also Burgs Foods and Botanic Bites prepared their food live at the festival area. In2Care joined the StartLife tent, showing off their great invention in collaboration with Noldus, the Eave Tube, to the international alumni, who off course were very curious about their product. No Fairytailes and Seamore presented their food products by using One for the Road at the Food truck Festival.